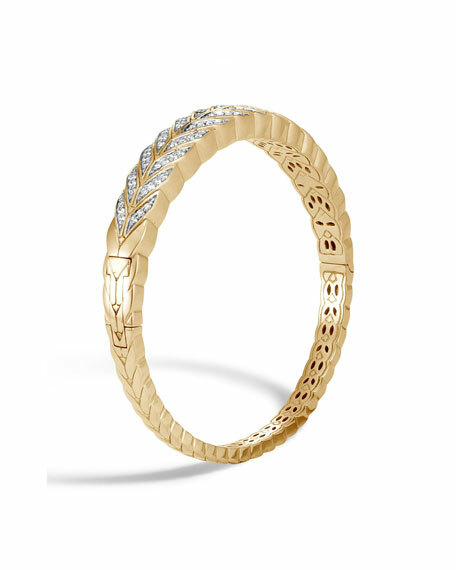 John Hardy bracelet from the Modern Chain Collection. Tapered frame with diamond pavé center details. 0.58 total diamond carat weight.